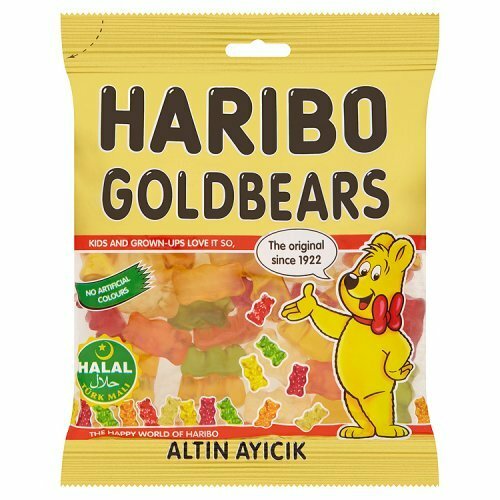 Pack contains:1 x 1 pack Haribo GoldbÃren / Gold bears Altın Ayıcık, Helal / Halal Net weight: 100g / pack 1 x 1 pack Haribo Happy Cherries / Mutlu Kirazlar, Helal / Halal Net weight: 80g / pack 1 x 1 pack Haribo Happy Cola, Helal / Halal Net weight: 100g / pack 1 x 1 pack Haribo Pfirsiche / Seftali / Peaches, Helal / Halal Net weight: 100g / pack , Haribo GoldbÃren / Gold bears Altın Ayıcık, Helal / Halal, 100g: Haribo GoldbÃren, original – popular and tested for over 80 years. Carefully selected ingredients and a unique recipe make GoldbÃren a very special pleasure. 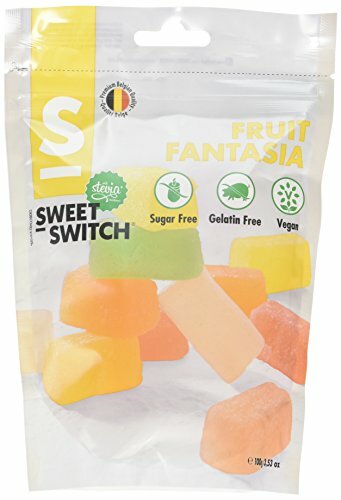 The small, bite-sized pieces of fruit gum are available in fruity flavours of apple, raspberry, strawberry, orange, lemon and pineapple. 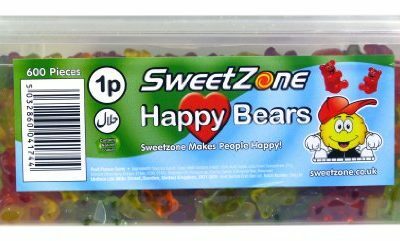 Haribo GoldbÃren – fresh, fruity and beary good. 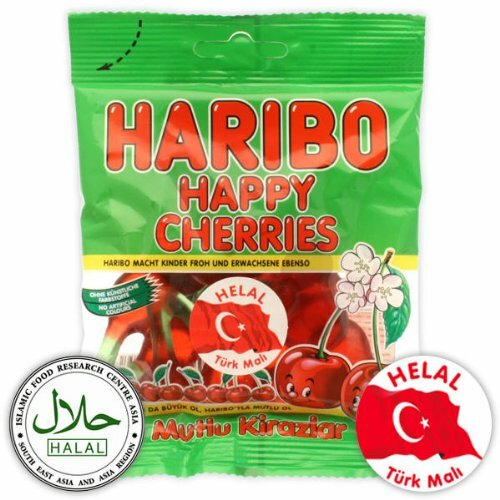 Haribo Happy Cherries / Mutlu Kirazlar, Helal / Halal, 80g: Happy Cherries – the cherry classic among all the delicious varieties of fruit jelly. Fruity and sweet, full cherry flavour and an attractive fragrance emanate from the Happy Cherries. The shape is fun. Enjoy the unique sweet cherry taste of Happy Cherries enjoy all year long. 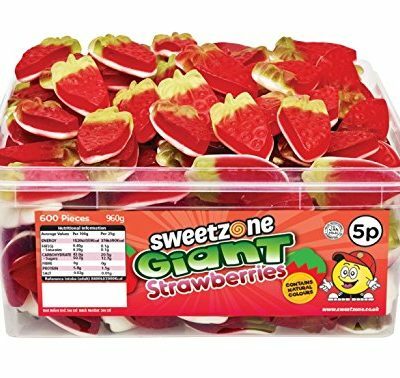 Super yummy in 80g pack. 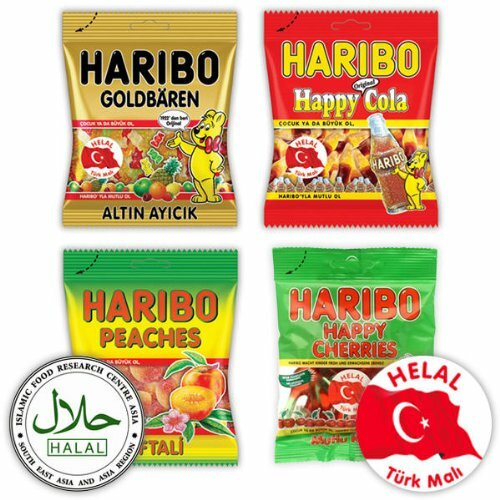 Haribo Happy Cola, Helal / Halal, 100g: The authentic German Happy coke bottle candy is ranked no.5 in the top twenty most popular Haribo candies in Germany. 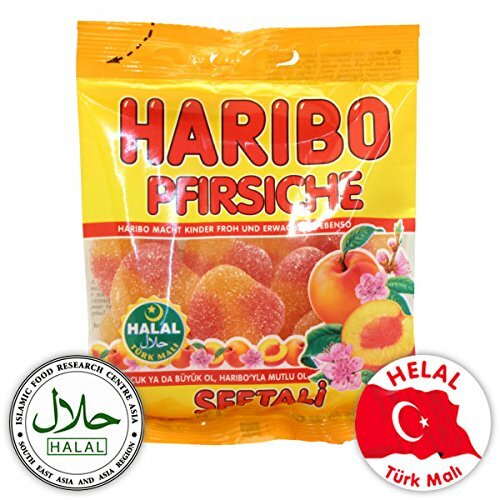 Coke lovers are sure to enjoy these large delicious bottle-shaped gummi candies with the refreshing taste of coke Haribo Pfirsiche / Seftali / Peaches, Helal / Halal, 100g: Haribo peaches are among the most popular gummi bears from Haribo. A beautiful shape and a delicious, fruity taste make Haribo peaches a great fruit gum.